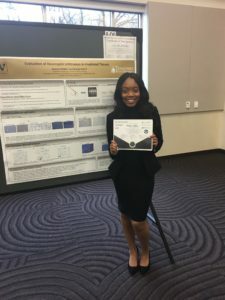 2/16/19: Anesha Walker won the best undergraduate poster award at the 18th Annual MVTCP symposium. 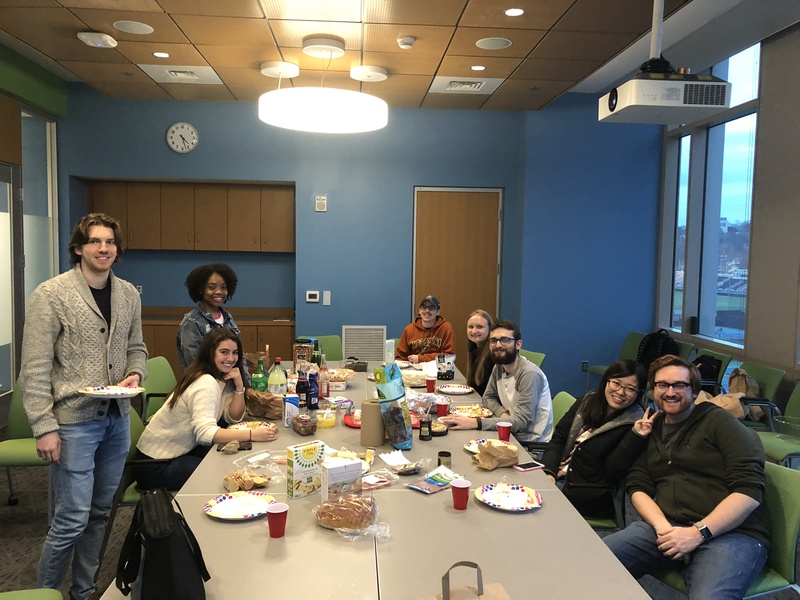 Congrats, Anesha! 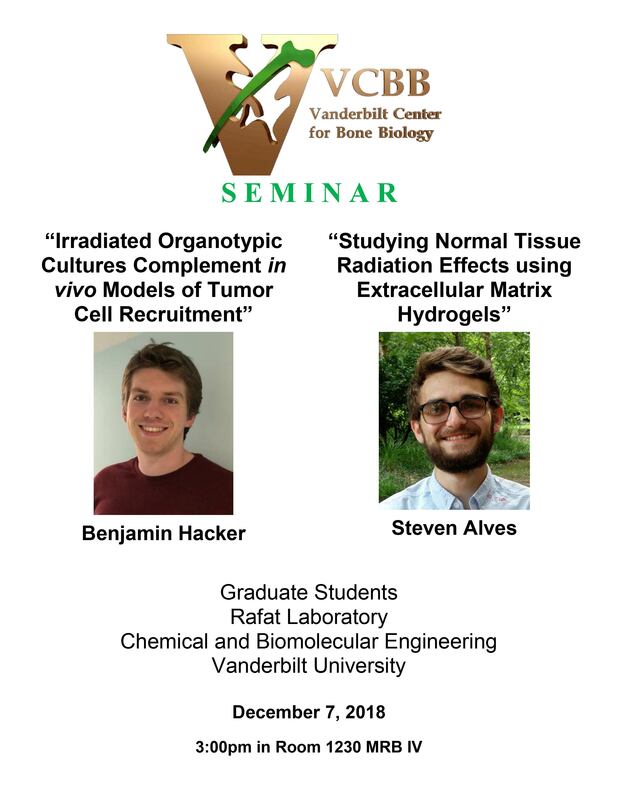 12/7/18: Ben Hacker and Steven Alves gave great talks for the Vanderbilt Center for Bone Biology Seminar Series. 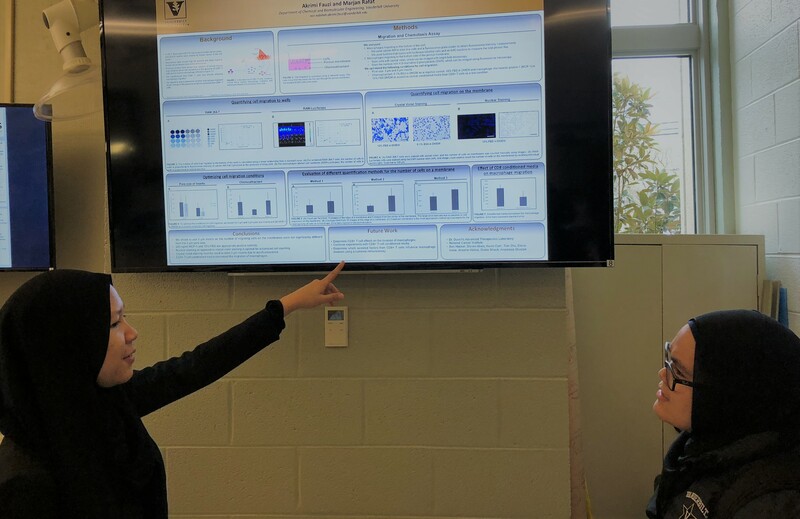 12/6/18: Akrimi Fauzi and Drake Shaub presented their research at the ChBE Undergraduate Research Poster Session. 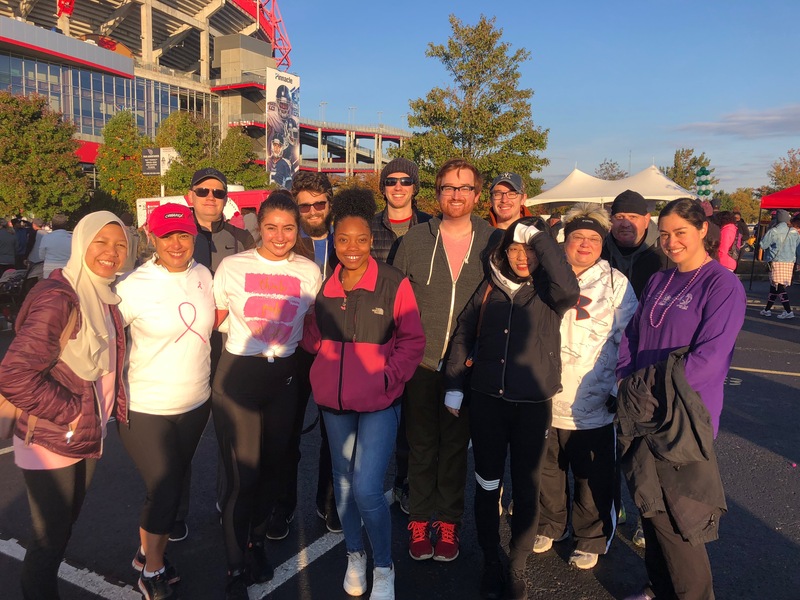 11/3/18: The Rafat Lab participated in the ACS Making Strides Against Breast Cancer walk. 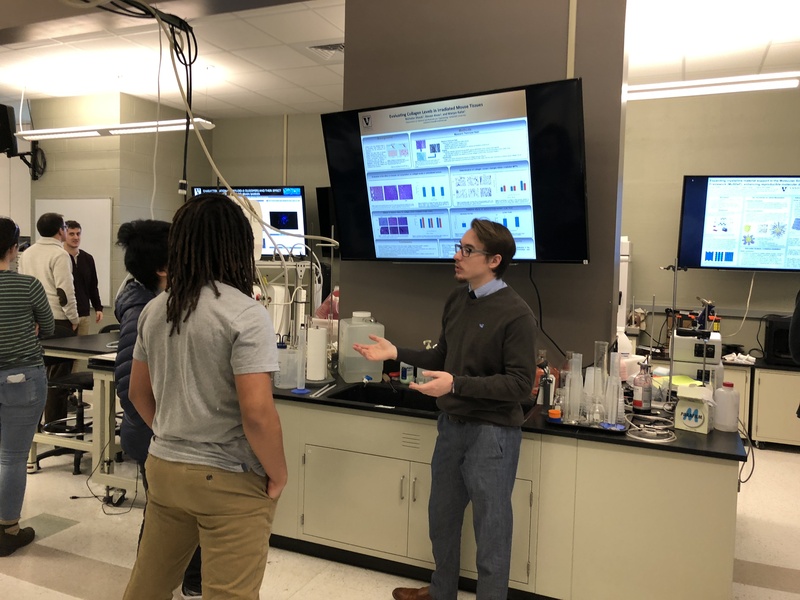 This was a great opportunity to support breast cancer survivors and research!